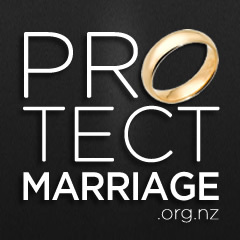 The Marriage (Definition of Marriage) Amendment Bill sponsored by Labour MP Louisa Wall has been sent to a Government Select Committee. 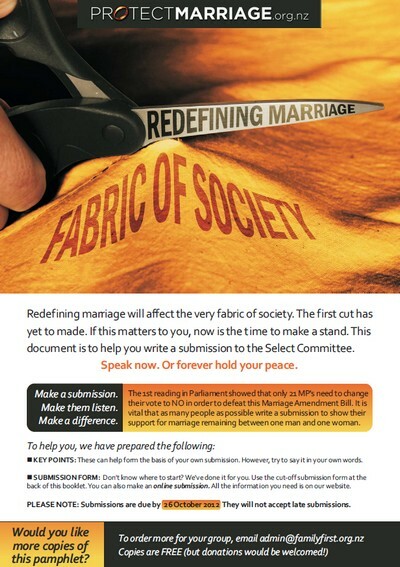 This means that people like you can make a submission (short or long) and have your say direct to the MP’s. And we want to help you every step of the way so as to make the task as simple as possible. The 1st reading in Parliament showed that only 21 MP’s need to change their vote to NO in order to defeat this bill. It is vital that as many people as possible show their support for marriage remaining between one man and one woman. 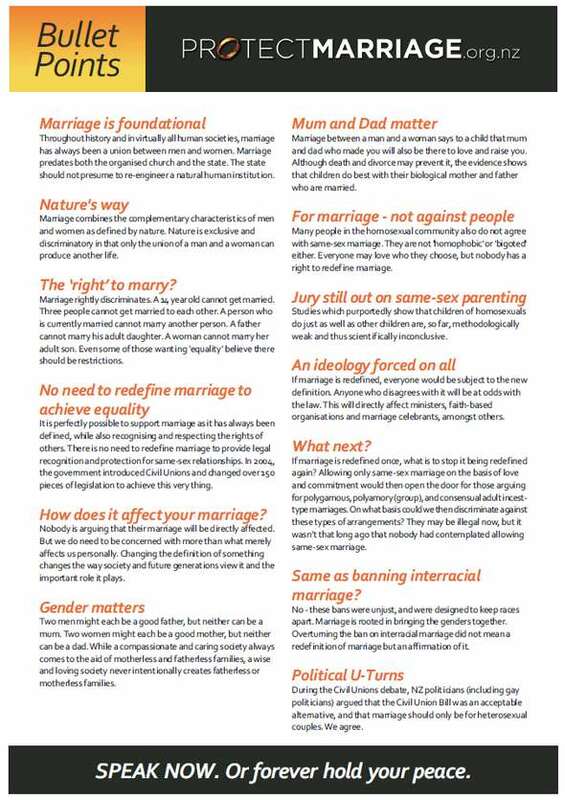 KEY POINTS – These are the key reasons why the current definition of marriage should be maintained, and can help form the basis of your own Submission. WOULD YOU LIKE COPIES POSTED? To order hard copies of the Pamphlet to hand out, email [email protected] . Thank you for standing for marriage!